Hi Leonidas, yes I saw that but the link always redirects immediately to www.bubble.is (whether I am connected or not to my own bubble account). Are you sure your app is public? But that’s fine I managed to do it by myself adding the JsBarcode.all.min.js script to the header section and then adding an html piece of code. Thanks a lot for your idea! 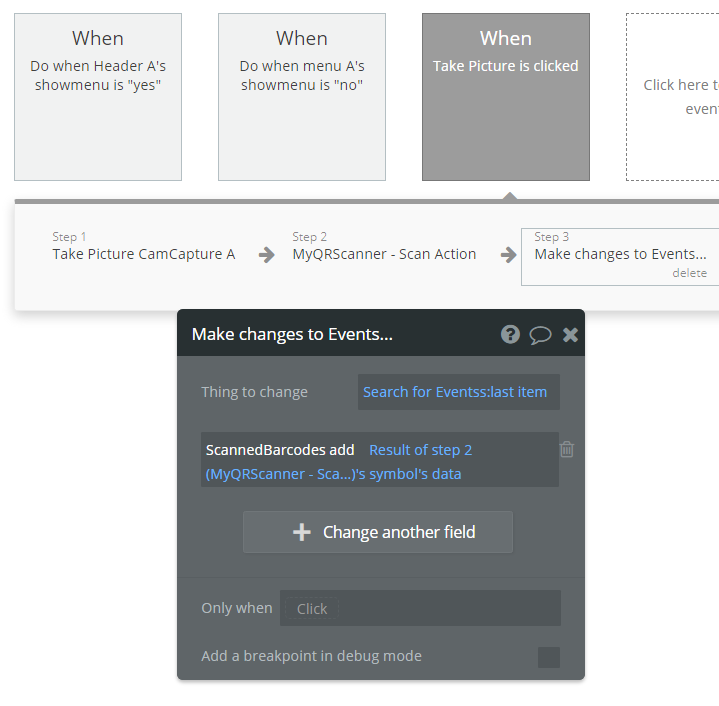 There’s a 3rd party app namely “Scandit” ! Can somebody build a plugin for Scandit? This will solve everyone’s problem with barcode scanning, including mine. Scandit uses machine learning technology and barcode scanning software to provide solutions for industries such as parcel, retail, and manufacturing. @seanhoots - it’s a year later, so I’m guessing the barcode scanner plugin didn’t happen. If it did, could you please post the details here? If not, thanks for the info on QuaggaJS - I’ll try to figure it out from there. I’m not interested in QR codes, only standard barcodes. For anyone trying to build a Barcode scanner, this was my solution. Hope it helps. 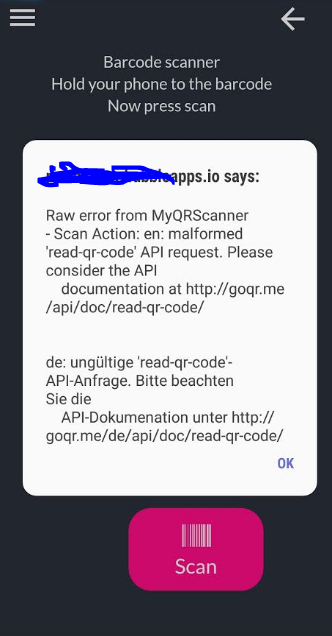 I managed to set up the API of the QR code scanning plugin in the API Connector. Then connecting the paid Camera Capture plugin to my app I can access the mobile device’s front or back camera. Camera Capture Plugin page on Bubble. 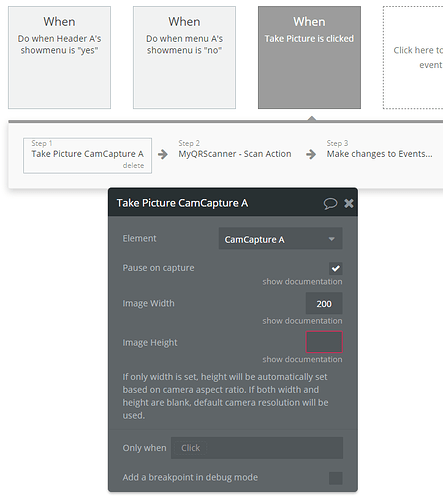 Add Camera Capture in one click to your app. Bubble lets you build web apps without any code. I am able to scan a QR code with a mobile’s camera and it instantaneously returns the value of that QR code. First we take a picture using the plugin. Then we scan the photo using the API we installed. Be sure to add http: infront of the image URL. Then save the barcode’s value to your database. This works, but it does have a bug. I get this error message everytime I scan something. It still returns the correct value, but this error message popup is irritating. If anyone finds a solution to get rid of this error message please let me know. I’d like to set this up using QuaggaJS API so it can read zebra Barcodes too and not only QR codes. 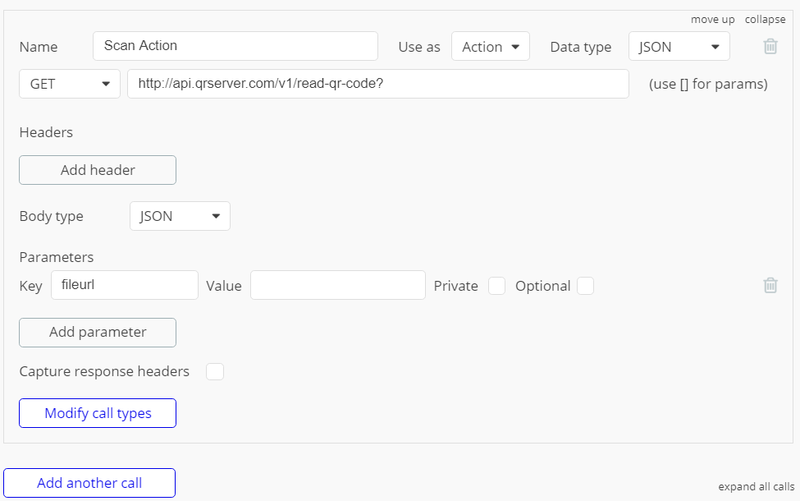 Has anyone managed to set up QuaggaJS or Scandit in the API connector? There’s a workflow called ‘an unhandled error occurs’ that will catch the error (get rid). That worked. You’re a champion Mark! Thanks. I’m gonna need to this at some point soon or find someone who can. I’ll share what I learn. 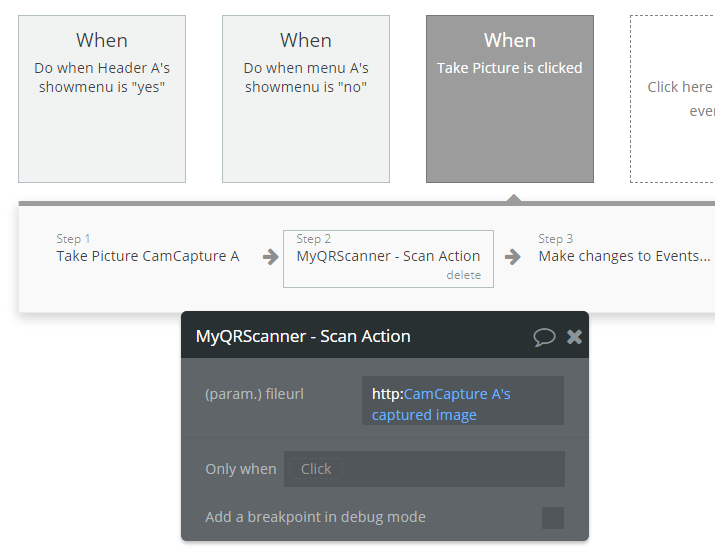 @levon implemented a barcode scanner plugin (see link below). Haven’t tried it but I expect it to work very well. @seanhoots thanks for the mention! there were some issues with the qr/bar code reader plugin but we have fixed those over a course of multiple updates done recently. In any case subscribing to a plugin gives a chance to try it out even for a single day (without paying for the full month) so you can safely try it out. @levon - I just checked out your demo - now I just need to figure out how we want to integrate it into the app (this will be my first plugin). You’ll hear from me soon. Anyone else tried out this plugin and have any feedback on it? I hope a free bar code reader comes out soon. This would be great to add to my inventory system. @levon’s seems great but this would just be a backup from my bar code reader. If anyone finds a free one please lmk. @ryan.yeo - Thank you very much for sharing your feedback. This is what I was concerned about. In the demo, it only shows one barcode type. @levon - What barcode types are supported with this app and are you in the process of introducing more? I would be using the barcode reader for a 5-6 character barcoded asset tag (shorter characters are more friendly for human-readable and sufficient for my use).